Anaerobic digestion is a biological process that occurs in nature – most commonly in the stomachs of animals. In the simplest terms, it is the process of bacteria consuming (digestion) organic waste in an oxygen-free environment (anaerobic) and producing natural gases as a result. This graphic from the American Biogas Council depicts the basic process of anaerobic digestion. 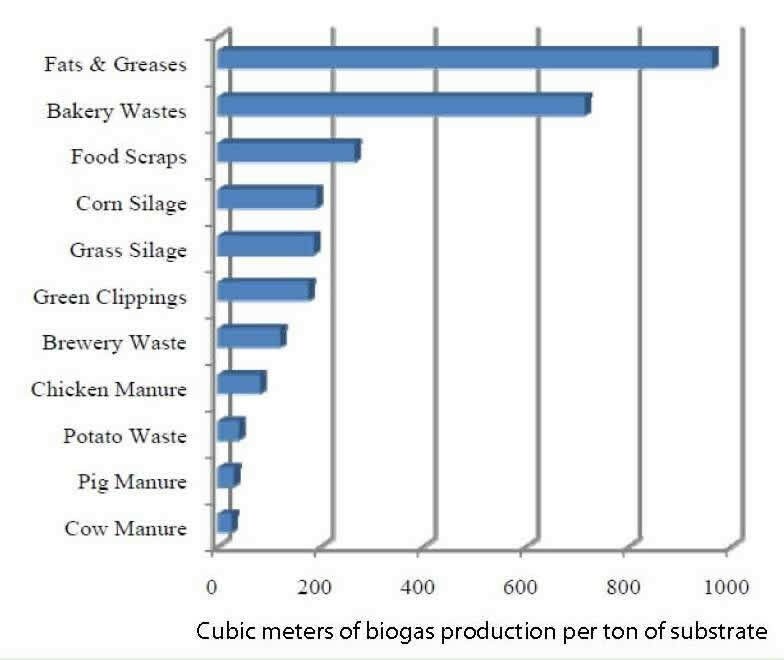 This chart shows the best sources of waste for clean and efficient energy production.